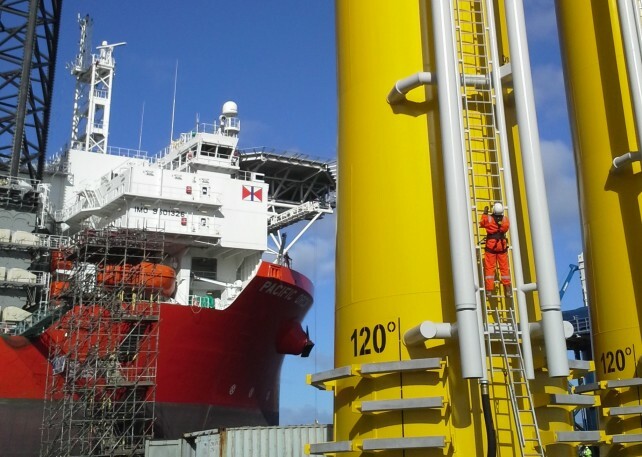 Working at Height and Rescue – Wind Turbines training course covers the basic safety and competence required for personnel working at height within a wind turbine. The course applies to both on-shore and off-shore activities. On completion of training, participants will be able to climb a fixed ladder, use fall protection equipment, understand the hazards, risks and basic rescue techniques associated with working at height in a wind turbine generator. Participants will be trained to use a constant rate descender for self evacuation and rescue of a colleague. The training course is approved by the Global Wind Organisation and fully meets the requirements of the the Global Wind Organisation Basic Safety Training Standards Working at Heights Module. Global Wind Organisation certificate valid for 2 years from assessment date.